Foreign Affair holds hundreds of women who are seeking foreign men for marriage and serious relationships. Through different cities around the world, our best marriage agency and matchmakers work hard to give single men in Western borders endless opportunities in finding a foreign partner for life. It’s evident that there are different cultures in terms of dating and courtship within different parts of the world. With various societal outlooks and standards, every city holds a unique and different perspective on dating. With one continent to explore and behold after another, it&apos;s always a great experience to immerse yourself in learning a new culture. Since Foreign Affair holds hundreds of foreign women in dozen parts of the world, there are many different cultures to learn about. If you&apos;re planning on finding your foreign love here, it&apos;s never a bad idea to study and read about something new beforehand. This makes the experience better and educational! Beautiful Foreign Affair women are always there to increase your chances of finding true and lasting love. Some of the world&apos;s most sought-after romantic partners and brides are within the borders of Ukraine and Russia. These gorgeous women can be seen walking around the city streets everyday and what makes these women so stunning is not only their physical qualities but also the quality of their personalities. 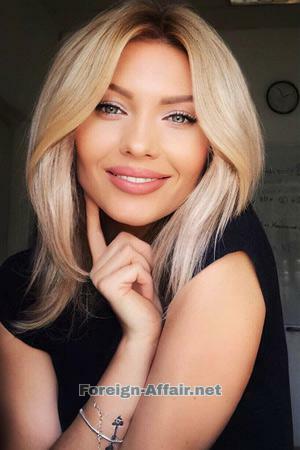 Foreign Affair dating culture includes both Ukrainian and Russian women where you get the chance to meet and date these single Foreign Affair ladies through our singles tours and online dating services. In both Ukraine and Russia, these women take their time before committing into a relationship. In the stage of courtship, they need time to think and see if the man they&apos;re interested in is serious about her. During dates, Ukrainian and Russian girls are attentive to details such as the location, the way men act and first impressions. It&apos;s an important tip to remember that when taking these girls out on a date, every detail should be thought of well. First impressions are important to these ladies. If you gained the opportunity to win her heart, making her commit to a serious relationship with you would take additional tips to remember. For her to start thinking of future issues such as children and marriage, the best note to keep in mind's to take your time. You need to remember that Ukrainian and Russian women should see your efforts in the relationship for them to believe that you are a worthy partner to have before tying the knot. Ukrainian and Russian women are not only natural lovers but also disciplined in every aspect. It&apos;s expected for their partners to act accordingly for a lasting relationship. Dating cultures that are common in Asia may surprise Westerners. Most of the traditions and cultures of Asians in terms of romance focus heavily on family and values they live by. In recent years, they have started to open their doors to online dating and other means in expanding their chances at love. With how diverse society has become, Asians have welcomed the idea of love coming from anywhere around the world besides their own. Meet your future partner among the many single women in Foreign Affair! Through Foreign Affair marriage agency, you can have the chance to meet hundreds of Asian women who are not only excited in meeting men like you but are also eager to learn the many different dating cultures out there. With us, your chance to date Foreign Affair women is simple without having to ask how to meet foreign women. Traditionally, most Asians pride themselves on their families, children, and marriages for them to ensure the development and continuation of their family lineage. This explains as to why Asian families are typically seen having strict parents who usually don&apos;t approve of their children&apos;s dates. Traditional Asians are picky when it comes to dating but times have changed since then and they are now open and diverse than how things were hundreds of years ago. Though matchmaking has been practiced long ago in parts of Asia, the dating culture has since changed much in terms of diversity. Today, in modern times, traditions are slowly changing where families are not so strict with dating anymore but this doesn&apos;t mean that Asian women stopped adhering to their rules. Asian women are very different from Westernized women. These women are serious in terms of relationships and marriage. Courtship is still needed when dating single Asian women. Asian women are usually traditional, this being from their customs and upbringing with strict family backgrounds. This is mostly why they look for serious men for them to feel secure and safe when committing into a serious relationship. These ladies were brought up with rules and values that can be seen through their independent and caring personalities.They are incredibly patient and are excellent in terms of taking care of a family. As compared to the dating culture in the USA, single Latin American women are harder to catch. These women are raised up to be fierce and independent from a young age. Latin American Foreign Affair women are not only beautiful but are also confident and bold. When they find someone they take interest in, they make their way to approach the person and make themselves recognized. Single girls can either approach first or wait to be approached; however, in Latin America&apos;s dating culture, these ladies are used to guys approaching them. Latin American women are usually the dominant ones in relationships but they also prefer their men who can be dominant and very committed. Usually, these fierce women are known to be clingy and great dancers. If you deem yourself as an expert in dancing, then you have a great chance in impressing these women in the get-go. 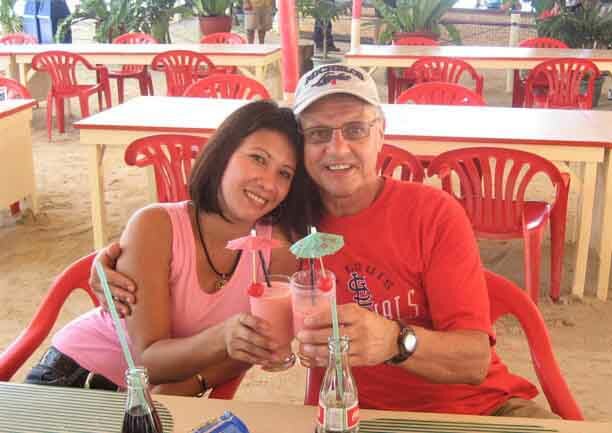 Open your doors in romance as you meet and date Foreign Affair women anywhere in the world. Foreign Affair has been in the industry for more than two years. With excellent experience and services, these women we hold are some of the world&apos;s best sought-after brides. Through us, you will gain multiple benefits in terms of having that one true love. Single women in Foreign Affair are seeking foreign men who are interested in committing to serious relationships and marriage. With their goal of being clear, there is less hassle in finding romance and you can skip to simply introducing yourself. With our best Foreign Affair dating agencies, there is no room for bad intentions and malicious motives among our women. They have been thoroughly-screened to ensure that single men like you can choose among the best women who are suited for long-lasting relationships. You will never regret having to date Foreign Affair women and meeting them through our romance tours around the world. With a worldwide list of genuine and gorgeous women to choose from, your journey to romance is just a step away. Registration is free with no hidden charges and fees. Once signed up, you can browse through various single women and see our newest singles in Foreign Affair.